Streptomycin ELISA kit | CE-GMP | 818-591 3030-USA. 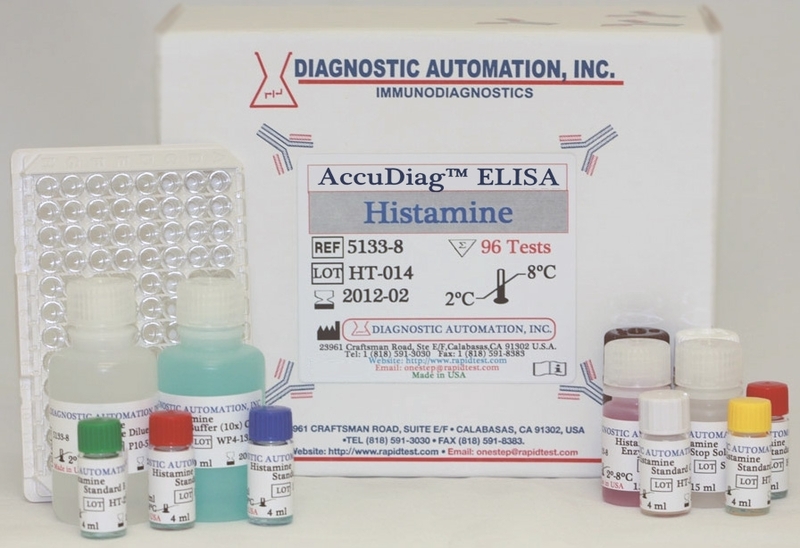 Diagnostic Automation Inc. offers a Streptomycin Food ELISA Kit that is an Enzyme Immunoassay for the Quantitative determination of Streptomycin in Food. 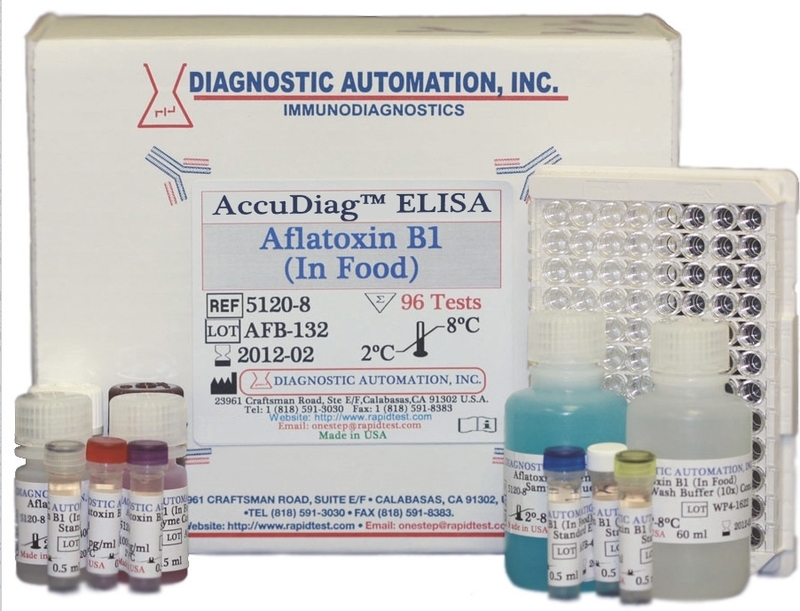 This Streptomycin Food ELISA Kit is a quick, economical, and sensitive Food Toxin ELISA Kit which is designed to detect streptomycin in food. Streptomycin consists of three components, which are linked together by glycoside bonds, and it belongs to the group of the aminoglycoside antibiotics. Streptomycin is naturally produced by the actinobacterium Streptomyces griseus, and its activity is directed against gram-negative bacteria and the tubercle bacillus. Therapeutically it is used in the case of streptococcal and enterococcal enteritis. Because of its side effects (damage of equilibrium and auditory nerve, as well as the kidney) it is rarely used in the human treatment, but has an application in the veterinary area. After the treatment of mastitis in breeding animals, elevated streptomycin values were also measured in liver, kidney, muscle and milk. Another application of the antibiotic streptomycin under the brand name of Plantomycin is the treatment of the illness of fruit trees called fire blight. In order to reduce the transmission to humans, maximum permissible values were defined in the European Union. 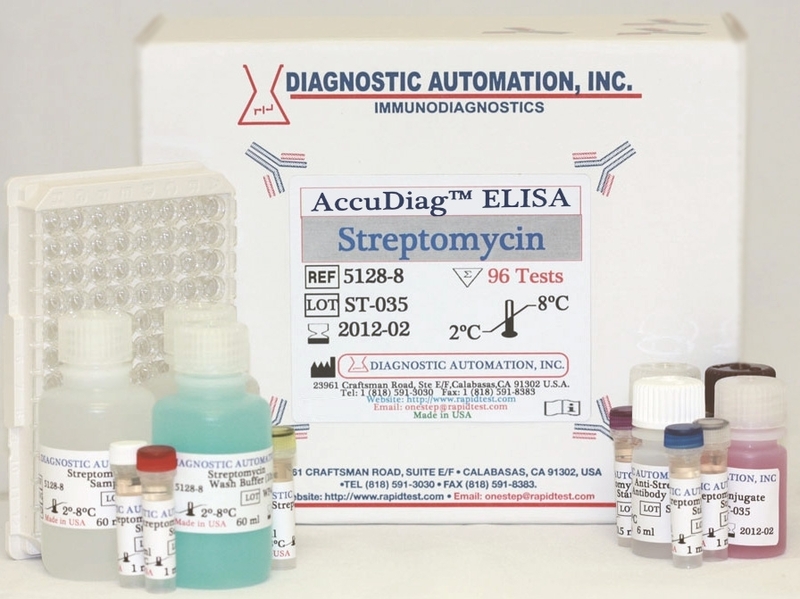 The sensitivity of this Streptomycin Food ELISA Test Kit is 1 ng/ml, based on the standard curve. 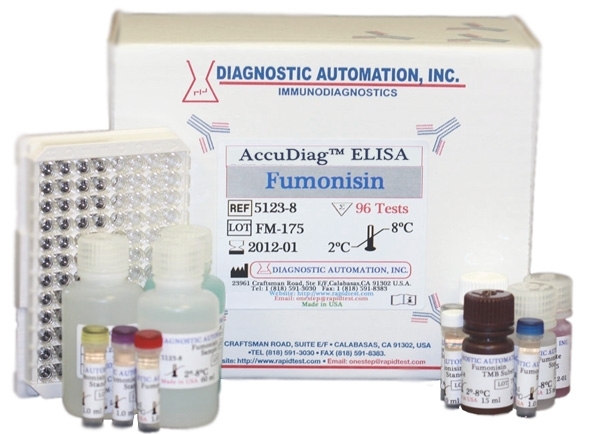 The Streptomycin Food ELISA Kit is a quantitative test based on the principle of the enzyme- linked immunosorbent assay. An antibody directed against mouse immunoglobulins is coated on the surface of a microtiter plate. 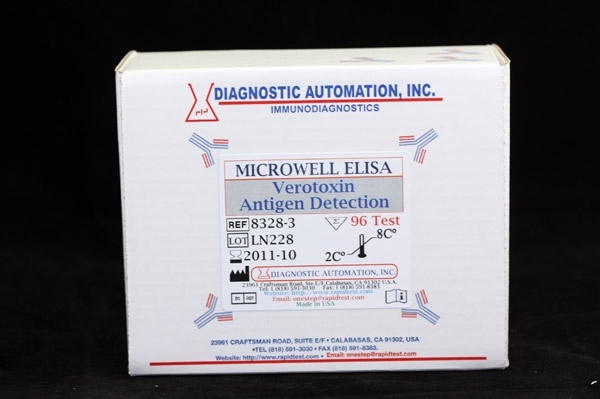 The Diagnostic Automation, Inc. Streptomycin quantitative test is based on the principle of the enzyme-linked immunosorbent assay for detection of Streptomycin in food samples including Honey, Shrimp, Milk, Liver, Meat and Whole egg. Samples require preparations. 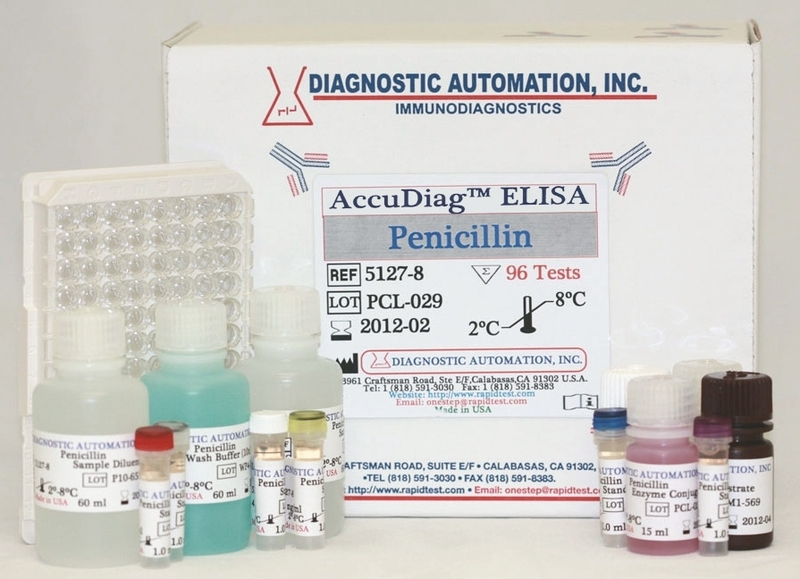 Instructions in the package insert must be followed for sample dilution prior to performing the assay. The sensitivity of the DAI is 1ng/mL based on the standard curve. The intra-assay variation of the streptomycin test was determined to 6 percent. The Test kit must be stored at 2-8 C.